Biographical Statement: Kate Gentry is a native of the Pacific Northwest and loves living and working in Seattle. 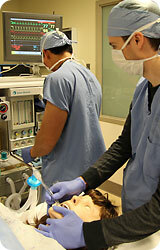 She completed a clinical fellowship in pediatric anesthesiology at Seattle Children's Hospital (SCH) in July, 2011. As a faculty-fellow in the UW Department of Anesthesiology and Pain Medicine, she is pursuing research in the Morgan/Sedensky lab and as well as clinical work at SCH. 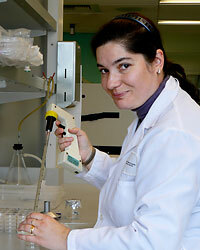 Her research interests are in the mechanisms of anesthetic action and in particular, the neurotoxicity of general anesthetics in the developing brain. She is working on a project to identify novel molecules responsible for anesthetic-induced neuronal apoptosis using a genetic approach in C. elegans. 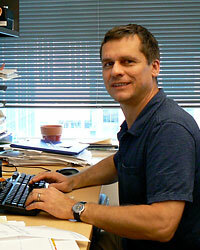 Research Interests: (Ernst-)Bernhard is the Technical Director of the Morgan-Sedensky laboratory. He is a trained biologist and received his PhD in 1994 studying plant growth hormones at the University of Bonn, Germany. 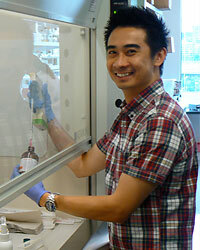 A postdoctoral fellowship in the U.S. turned into a permanent stay. With this move came a switch of interest. He has since turned into a specialist for the tiny nematode Caenorhabditis elegans, a popular model organism. He employs this roundworm to study the mechanism of action for inhalation anesthetics with a focus on the contribution of metabolism and mitochondrial function. 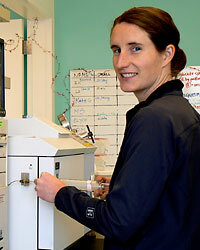 Research Interests: Elyce Opheim is a Seattle native who graduated from Vassar College in May 2009 with a BA in Biology. She is excited to further explore her interest in C. elegans research while learning about mitochondrial disease in this model organism. Elyce provides research and technical support by helping to organize and carry out experiments to study various mitochondrial mutants. Personal Interests: Outside the lab, she loves to cook and is slowly working her way through a mountain of exciting new recipes. 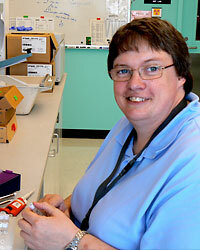 Biographical Statement: Beatrice is a Research Technician in Phil Morgan and Marge Sedensky's lab. She is originally from Romania and she moved to the US, together with her family, 5 years ago. A former MD in her home country, in 2008, Beatrice took her Certificate of Proficiency in Biotechnology after attending the Biotechnology Laboratory Specialist Program at Shoreline Community College. She lives with her husband and their 8 year old son in Marysville, WA. 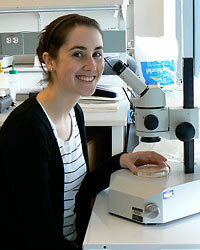 Research Interests: Louise hails from Pennsylvania and is a Research Scientist in the Morgan/Sedensky Lab. 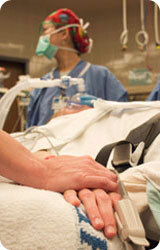 She earned her bachelor's degree from Penn State-Erie and her doctorate from Case Western Reserve University. She is studying two dominant C. elegans mutations that suppress a defect in Complex I of the mitochondrial electron transport chain (ETC). Determining the mechanism of suppression may shed light on how components of the ETC interact, and will provide an example of how mitochondrial defects can be restored. Louise is also very interested in identifying genes that promote or protect C. elegans from neuronal degeneration after volatile anesthetic exposure during early development. 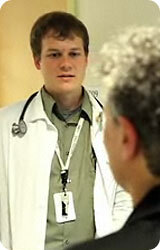 Research Interests: In 2003 Wichit received an M.D. from the Faculty of Medicine Siriraj Hospital, Mahidol University, Thailand. After that his interest gravitated towards mitochondrial disorders. He came to the USA and joined Drs. Morgan and Sedensky's lab in 2005 to pursue a Ph.D study at Case Western Reserve University. His thesis investigated how mitochondrial supercomplexes influence electron transport chain function, using C. elegans as a model. Currently, Wichit is a postdoctoral research fellow, working on how mitochondrial superoxide dismutase plays a role in lifespan of mitochondrial complex I and II mutants. Upon return to Thailand Wichit will continue mitochondrial research, focusing on Leber's Hereditary Optic Neuropathy, which is relatively prevalent in the Thai population.